The Megmall Fashion Hall sure has a lot of new fine dining restaurant concepts nowadays. One of them is Linguini Fini by the The Moment Group of Restaurants. I didn't know what to expect here since I have tried only one TMG restaurant prior to this which was Namnam. I kinda like Italian food so I didn't hesitate in giving it a try. 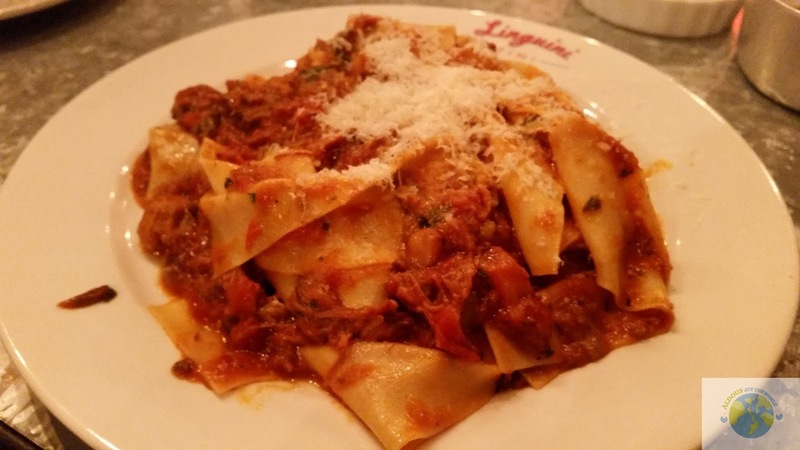 You can't leave Linguini Fini without trying one of their pasta dishes right? I ordered one of four pasta dishes that has its own page in the menu. The Papardelle has a lot of meat in it and that's good news for me. It contains pork testa, veal & oxtail ragu mixed with Parmigiano Reggiano. I thought this dish is a must try! Remember to order this when you visit Linguini Fini. I love porchetta so when I saw it on the menu that it is served with two options, I knew I got to order one of them. The chili was indeed spicy so I didn't have much of that since I don't really like spicy food. 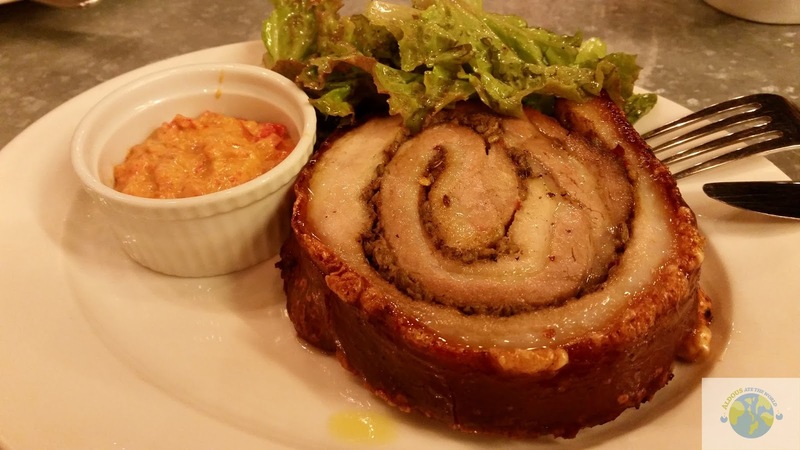 I recommend ordering two cups of rice with the Porchetta though. That would make for a complete meal. It was the only pizza that got its separate page on the menu so I thought I'd order it. The Manila Caprese contains cherry tomatoes, house kesong puti, basil and olive oil. 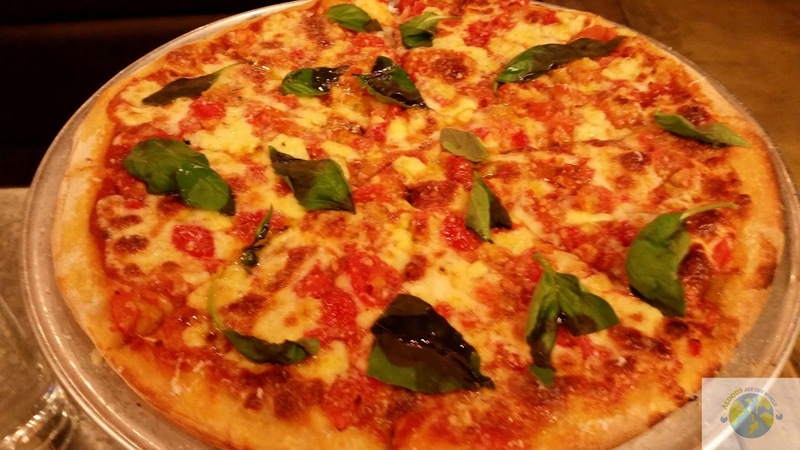 Being of fan of the classic Cheese pizza, this pizza sure put an amazing twist to it and I loved every bit of it. Unfortunately, we realized we ordered a bit too much so we were only able to finish half of the pizza. That's another plus for Linguini Fini as their dishes may be a bit pricey but their serving makes up for it. This dessert dish is either new or it is a best seller since it is written on their blackboard. It must have been both because it was a great experience eating this. 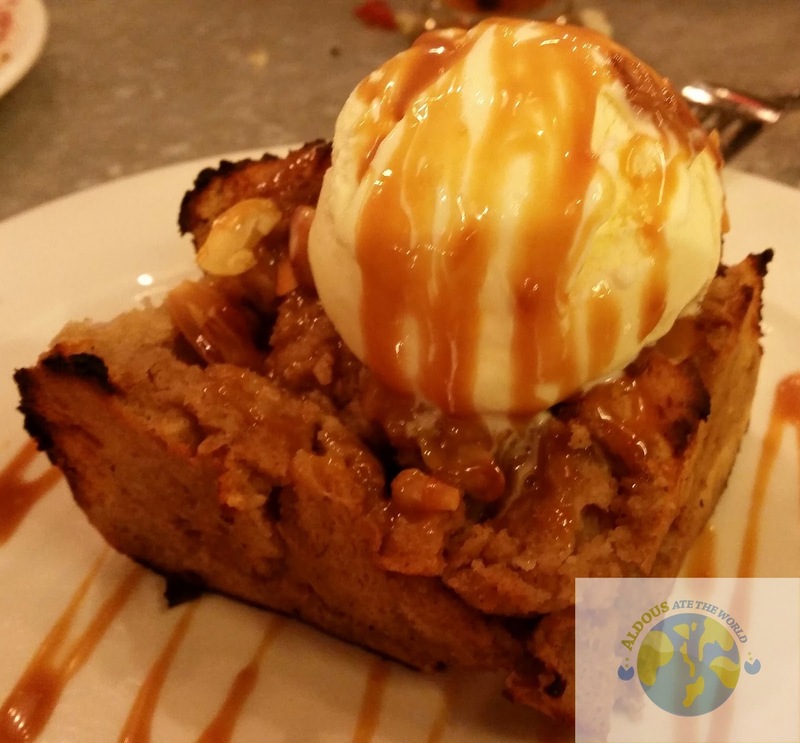 It is vanilla ice cream on top of freshly baked banana cake with almonds. When I saw that those three are in it, I didn't hesitate to order it and I was not disappointed one bit. If you want a one of a kind Italian food experience then visit Linguini Fini. I think we will love the Manila Capresse since it's safe and friendly for vegetarians. :) That best-selling caramelized pudding ala mode is also a great dessert to end a meal.